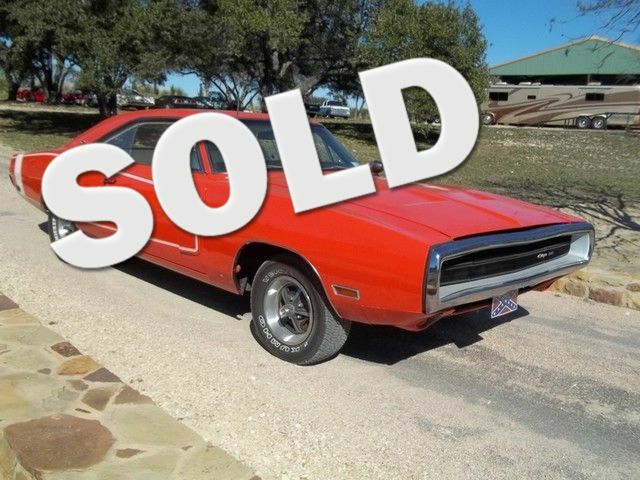 This 1970 Dodge Charger 500 underwent a two year frame restoration. It had new paint, upholstery and trunk pan with a NOM 440 and the motor has less than 40 hours on it. It was built with the following parts Keith Black pistons Mopar 292 Cam, Edelbrock 88 CC aluminum heads, eagle rods and crank internally balanced. Heavy duty oil pump and a 7 quart oil pan. 1.6 ratio roller rockers and an 850 demon blow thru application carb orator. It is equipped with an aero motive electric fuel pump and the transmission is freshly rebuilt with a TCI deep cooling pan and a TCI 3500 speed torque converter. The rear end is an 8 3/4 pasi traction with 355 gear ratio. The tires, brakes and exhaust are all new. The car is very presentable but is not a #1 car. It is a real head turner by looks and performance.